Armitron Now Stainless Women's 2 Tone Link Band Bracelet Watch with New Battery! Ladies VINTAGE ARMITRON "NOW" Watch -Silver/Gold Toned - Runs Well-New Battery! Armitron Now Diamond Silver Tone Mother of Pearl Dial Women's Watch New Battery! Armitron Now Women's 75/3935SV Silver/Purple Rhinestone Watch New Battery! 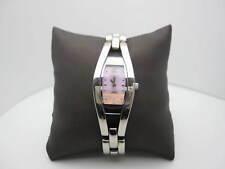 1 product rating - Armitron Now Women's 75/3935SV Silver/Purple Rhinestone Watch New Battery!